So 2012 has been a big year for the online channel. 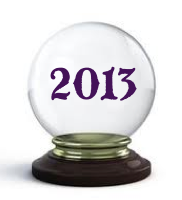 There has been growth across most of the core areas such as PPC, SEO and social, but what does 2013 have in store for us? Have we reached the summit of online advertising spend, have the customers Googled their last Google? I think not. In fact, we are quite a way off the summit of the online marketing peak. There are still many businesses who are not embracing the online marketing trend and they are starting to wake up to the idea that it is not that difficult or expensive in the grand scheme of things. Online payment systems are becoming more effective and secure, and more people are realising this and are more comfortable parting with their cash online. So, when you put all of the above comments alongside the classical arguments about why you should be advertising online i.e. trackability, speed of reaction, lower barriers to entry and many more. You can see that there is likely to be a continuing trend for customers and businesses to embrace the online market. The next question is how to you compete in a more increasingly competitive market… call us on 01303 240715 and I can tell you!